TOFU MOM . . . and gravy! : I Won A Cookbook, I Won A Cookbook!! I Won A Cookbook, I Won A Cookbook!! 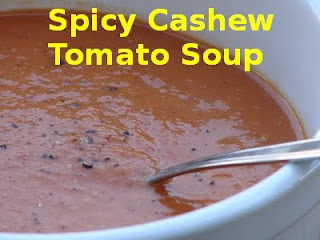 A couple weeks ago, I saw this great cookbook give-away over at "Herbivoracious", a really great restaurant-review-and-recipe-blog written by a fellow Seattle-ite and amazing vegetarian chef, Michael Natkin. OK, it's not specifically vegan, but seriously folks - relax! Everything's very vegan-friendly, and simply reading the word "cheese" once in a while isn't going to un-vegan-ize your retinas. Besides, you might learn something!! And actually he notes which (many) of the recipes ARE vegan and most are extremely easy to modify. OK, so, to enter the contest, we had to tell one of our WORST cooking experiences. So, yeah, you KNOW I jumped on that!! The things that come out of this kitchen are definitely NOT always edible. Well, long story short, I WON the cookbook, much to my amazement and delight. I'll let you read the stories here: "Tassajera Cookbook Giveaway" though, because frankly, there were a LOT of great entries!! 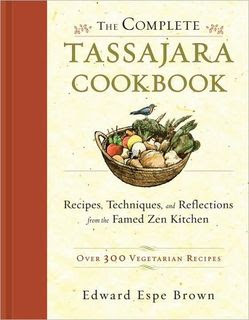 The cookbook, The Complete Tassajera Cookbook, is from the famous vegetarian California spa/retreat of the same name. And it is really a COMPLETE cookbook starting with the very basics of good vegetarian cooking and going from there. 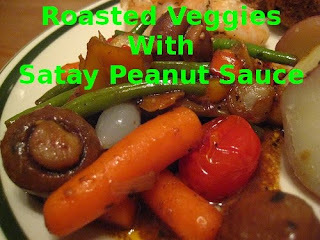 I like the healthy, fresh approach and I've found the recipes helpful, creative and educational, as well as quite delicious (at least so far!) - exactly what I like in a cookbook! Thank you again Michael and the fine folks at Shambhala Press, for this great give-away!!! I've never won anything before, and you really made my week!!! Thanks for the kind words, and I'm glad you won the book! Enjoy! I have one of the Tassajara cookbooks -- it is fantastic!